How to watch Supergirl: Season 4 (2017) on Netflix Austria! The availability of Supergirl: Season 4 on Austrian Netflix can be found in our listings below for each season. If the season/episode you want isn't available, you may be able to unlock it right now in Austria and start watching! Change your Netflix country with a few simple steps and start watching. We'll keep checking Netflix Austria for Supergirl: Season 4, and this page will be updated with any changes. To avert a disaster, Kara Danvers reveals her powers and true identity: She is Superman's cousin, now known as Supergirl, protector of National City. She's been hiding her kinship with Superman. But now, it's time for Kara to join the family business. Season 1 of Supergirl has 20 episodes. Because different Netflix countries have different availability for episodes, you'll need to check the episode listing below to see which are available in Austria. While Kara Zor-El adapts to living in National City and working for media mogul Cat Grant, she can't turn away from her secret Kryptonian superpowers. Kara's early forays into using her superpowers don't always go well. Cat's suspicions about Supergirl lead her to pressure James to get an exclusive. Supergirl needs all her powers to battle Reactron, one of Superman's strongest foes. Cat's ongoing suspicion about Supergirl may lead to an exposé. Kara's Thanksgiving is full of drama as her foster mother comes to town at the same time an accident turns a CatCo employee into the villain Livewire. Kara must baby-sit Cat's son on the same day National City is rocked by a series of bombings needing Supergirl's attention. James's ex comes to town. Kara's stress level goes off the charts during a training exercise commissioned by Gen. Sam Lane. 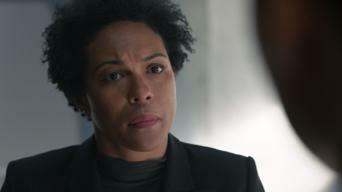 Alex asks Winn to research her father's death. An earthquake cripples National City, leaving Kara and her friends without her superpowers. At the DEO, Alex's issues with Hank reach critical mass. Kara is torn when Astra, her once-beloved aunt, challenges her belief in her mother. An email scandal at CatCo could spell the end of Cat's career. Kara battles on two fronts when Cat becomes convinced her meek assistant is Supergirl at the same time Astra and Non are bent on Kara's destruction. Alex asks Hank to uncover Maxwell Lord's secret agenda. Cat offers Lucy a job, complicating things with James. Winn's father escapes from prison. When an anti-alien politician is kidnapped by a White Martian, Kara helps Hank confront his past. Kara encourages Cat to face her estranged older son. 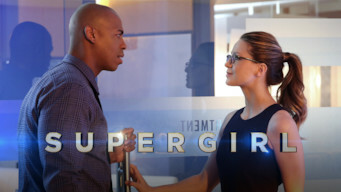 Supergirl fights against her own destruction by an evil doppelgänger. Cat's older son, Adam, and Kara are starting to have feelings for each other. 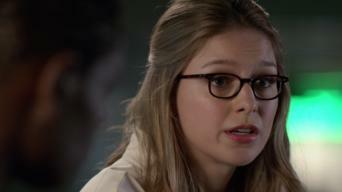 A parasite traps Kara's mind inside a hallucination in which Krypton still exists. Hank and Alex must fend off an attack by Non without Supergirl. 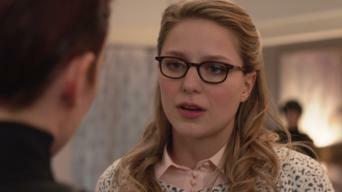 Kara contends with a new back-stabbing assistant at CatCo. Supergirl confronts the Master Jailer. 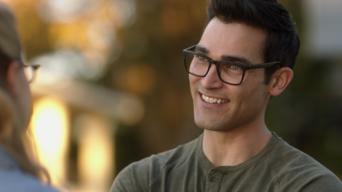 James questions the DEO, causing a rift with Kara. Unsure how to defeat internet-traveler Indigo, Kara is counseled in Superman's Fortress of Solitude. James and Lucy rethink their relationship. An encounter with Red Kryptonite turns sweet Kara evil, affecting her clothes and behavior at CatCo and the DEO. Alex and Lord become uneasy allies. 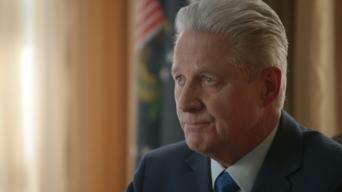 Alex and Kara learn how Hank came to the DEO and his connection to their father. Kara binge eats as she tries to deal with the evil Supergirl fallout. Supergirl has an encounter with Flash, a speedy superhero from a parallel universe who helps her in exchange for assistance in getting him back home. 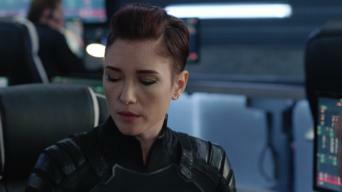 Only Kara and Cat seem immune from Myriad, the mind control technique used by Non to turn National City's population into a zombie-like army. To stop Non and Indigo's master plan to wipe out everyone on the planet, Supergirl is forced into a life or death battle against someone she loves. Season 2 of Supergirl has 22 episodes. Because different Netflix countries have different availability for episodes, you'll need to check the episode listing below to see which are available in Austria. When a commercial space shuttle suffers engine failure, Kara's cousin Clark Kent is on hand to help her save the craft and investigate the incident. 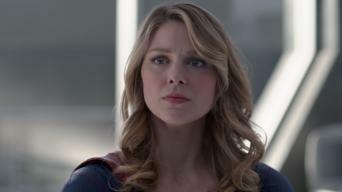 Supergirl is injured by a villain using kryptonite weapons to attack National City, and Superman places the blame squarely on Hank and the DEO. Kara and the DEO fear that their escaped detainee is behind attacks on President Marsdin, who is visiting National City to sign an alien amnesty bill. The corpse of an unregistered alien leads Kara to an underground "fight club" where aliens duel to the death under the supervision of Roulette. When a gang of ruthless thieves using alien technology attacks Supergirl, she discovers that Cadmus is the source of their advanced weaponry. When J'onn and Kara are attacked by a scientist infected with an energy-draining parasite that saps their powers, the Guardian comes to their aid. On a mission to rescue Mon-El from Cadmus, Kara encounters the real Hank, who is now Cyborg Superman. The Guardian is falsely accused of murder. Kara tries to enlist Lena Luthor's help to prevent Cyborg Superman from releasing a Kryptonian virus that was created by her father, Zor-El. Investigating a missing person case, Kara and Mon-El are transported to the slave planet Maaldoria, orbiting a red sun that robs them of their powers. After a battle with Livewire, Kara is angry with Mon-El for ignoring her order to protect civilians, and with James, who reveals his secret identity. J'onn takes M'gann to the DEO for protection when her ex-lover Armek arrives on Earth to apprehend and return her to Mars for execution as a traitor. 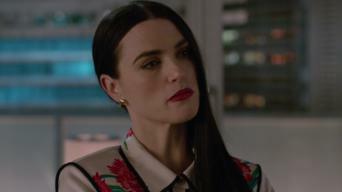 Refusing to believe that her friend is guilty, Kara tries to clear Lena's name when she is accused of helping Metallo and Lillian escape from prison. When a trickster imp named Mxyzptlk appears with a marriage proposal for Kara, she and Mon-El must devise a way to stop the fifth-dimensional menace. The Danvers family is thrilled when J'onn and Kara rescue Jeremiah from a Cadmus convoy, but Mon-El soon becomes suspicious of his sudden return. Kara pressures Snapper to run a story about Cadmus kidnapping aliens for relocation to another planet, while Alex and Maggie search for Jeremiah. When the Daxamites demand the return of Mon-El to his home world, Kara discovers he is a prince who is expected to lead the rebuilding of his society. A series of attacks on Kara by alien bounty hunters leads Mon-El to suspect that his parents are behind them, in an effort to force him back to Daxam. 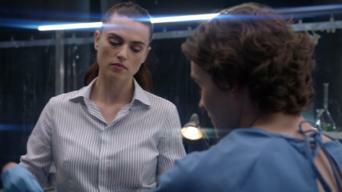 Lena's ex-boyfriend Jack announces a groundbreaking nanobot technology, but she, Kara and Mon-El discover that Jack is under his creation's power. A childhood friend of the Danverses who knows Kara's secret kidnaps Alex and demands that his father, a notorious criminal, be released from prison. When an alien from a normally peaceful race attacks National City, Kara, Mon-El and James discover a transporter created by Lena and the alien Rhea. The Daxamites invade National City, but Kara, Mon-El and their friends are able to turn the tide against Rhea, who unveils a startling secret weapon. With Kal restored to his normal state, Kara fights Rhea in an ancient combat ritual, while Lena works on a method of expelling the enemy fleet. Season 3 of Supergirl has 23 episodes. Because different Netflix countries have different availability for episodes, you'll need to check the episode listing below to see which are available in Austria. In the wake of the Daxamite invasion, Kara's still reeling from her sacrifice -- and a charismatic capitalist has big plans to rebuild National City. A powerful villain with psychic abilities brings Kara to her knees. Lena comes to work full time at CatCo and hands L-Corp over to a new successor. With a wedding shower in the works, Maggie reaches out to her estranged father. Kara joins J'onn on an emotionally charged mission to Mars. A familiar symbol draws Kara to a man on a twisted mission. Samantha's leaning in at work but worries she's letting her daughter down. When lead poisoning hits National City's children, Morgan Edge goes public with a ruthless accusation. Alex and Maggie come to a painful realization. Kara takes Alex to Midvale for the weekend, where their childhood bedroom stirs memories of a painful tragedy that taught them to work as a team. An underwater expedition awakens a long-buried hope. Samantha journeys home to investigate her past and unlocks the truth about her origin story. The Flash’s wedding draws Kara, Alex, Green Arrow and the Legends of Tomorrow to Central City, where a shadowy evil is waiting in the wings. Lena and James team up to question Morgan Edge after ominous symbols appear in National City overnight. Christmas Eve delivers a dangerous new enemy. While Reign roams free in National City, Mon-El sends a member of the Legion of Super-Heroes into the depths of Kara's battered subconscious. Supergirl teams with Saturn Girl and a pair of unlikely allies on a mission to Fort Rozz to find a prisoner who knows how to defeat Reign. After an attempt on his life, Morgan Edge accuses Lena of foul play. Alex runs some tests to find the source of Samantha's blackouts. 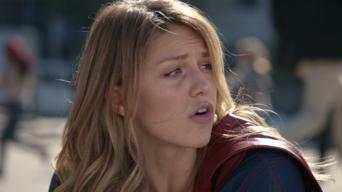 Kara's convinced that a captive Worldkiller still has some good in her, but Alex isn't buying it. Winn joins J'onn and Mon-El on an important mission. 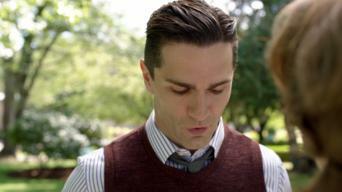 Winn reunites with his estranged mother, who reveals a surprising truth about his past. Alex senses something's off with Myr'nn's memory. 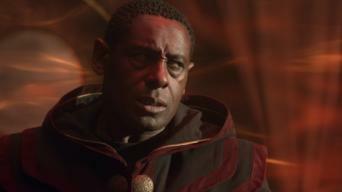 A disturbance at the DEO forces J'onn to make a difficult decision. Mon-El starts training Kara in fighting techniques brought back from the future. A citywide plague points to Pestilence, but her identity's unknown. Lena and Samantha try to isolate the enzyme that triggers Reign's transformation. With all three Worldkillers united, Lena and Alex join forces with Supergirl to get through to Samantha in another dimension before time runs out. Reign gains strength after absorbing the powers of Pestilence and Purity. Now she's more dangerous than ever -- and she's looking for Ruby. An escaped disciple of Coville's cult offers up a journal that could potentially save Sam. Someone threatens to reveal Guardian's identity. Mon-El and Supergirl make a shocking discovery while carrying out an important mission. Back on Earth, Reign's wrath tests Lena's loyalties. Kara weighs a life-altering decision with major repercussions for her friends on Earth. James and J'onn trace the source of a superpowered weapon. Supergirl, Mon-El and Alura join forces to stop Selena as she heads toward Earth with a sinister plan. J’onn prepares for an important goodbye. With Earth in turmoil, the team bands together to fight Reign, forcing Supergirl to question what she stands for. A weakened Sam searches for strength. Season 4 of Supergirl has 18 episodes. Because different Netflix countries have different availability for episodes, you'll need to check the episode listing below to see which are available in Austria. J'onn tries to convince Kara that the climate toward aliens is changing. A new cub reporter comes to CatCo, and Lena reconnects with her mother. A shocking revelation stirs anger and resentment while Mercy Graves remains at large. Nia confides in James, and L-Corp comes under attack. A flashback episode reveals Agent Liberty's origins, tracing his dark rise from a college professor to a villain fueled by anti-alien rage. With the air still awash in dangerous kryptonite, multiple heroes put their lives on the line. J’onn's search for Fiona turns up a sympathetic ally. Agent Liberty gains an alarming new weapon in his warped war to "save" humanity. J'onn and Kara work together to recover a powerful amulet. With Thanksgiving approaching, Agent Liberty spreads his manifesto of hate as James, Alex and Kara race to thwart a wave of anti-alien violence. Things take a dark turn when Supergirl and Manchester Black follow a lead on Agent Liberty's location. Lena launches her first set of trials. 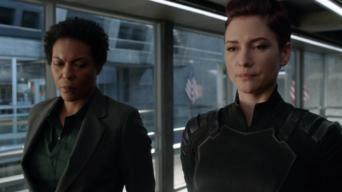 After Nia shares a prophetic dream, Kara and Brainy encourage her to embrace her destiny. A vengeful Manchester Black pays Ben Lockwood a visit. Supergirl teams with the Flash, Green Arrow and Superman on a crossover mission to find an important book and rewrite a scrambled reality. Col. Haley makes it her mission to uncover Supergirl's secret identity, but Alex is determined to protect her. Brainy urges Nia to use her gifts. A new drug on the streets of National City gives ordinary people temporary superpowers. Kara accompanies Nia on a trip home to visit her family. Valentine's Day takes a detour as J'onn and Kara dig into a case that's connected to a grisly DEO investigation -- and a frightening new villain. What's So Funny About Truth, Justice and the American Way? Manchester Black springs back into action with a newly formed team of allies known as "The Elite." Elsewhere, Nia doubles down on her training. With human-alien tensions at an all-time high, Supergirl is forced to take a stand to keep the peace. 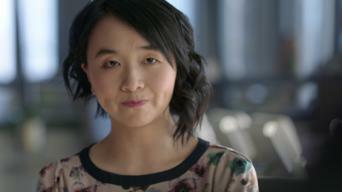 A difficult assignment tests Alex's beliefs. Lex Luthor pays Lena a visit -- and preys upon her sympathies. With James's life hanging in the balance, J'onn and Kara go after Manchester Black. Flashbacks reveal that Lex Luthor's return was all part of a much larger plan involving Lena, Kara -- and a dangerously powerful lookalike. 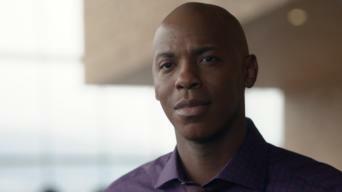 With Lex Luthor still at large, Supergirl, Alex and Lena go after his most loyal henchwoman. A troubled J'onn summons his father's spirit. Lena and Supergirl search Stryker's Island for clues that might lead them to Lex. James goes to therapy, and Brainy has a crisis of conscience.